Tenorshare 4uKey - iTunes Backup (iPhone Backup Unlocker Professional) is a very powerful tool to recover forgotten/lost iTunes backup password for iPhone, iPad and iPod touch. You may think that .95 costs too much and prefer its crack version. In this article we will describe this cool program and explain whether it is workable to crack Tenorshare iPhone Backup Unlocker Professional. 4uKey - iTunes Backup, is a main program developed by Tenorshare Co., Ltd. Actually, it offers 3 efficient password decryption methods (Brute-force Attack, Brute-force with Mask Attack and Dictionary Attack) to recover lost iPhone backup password and a powerful function to turn off iTunes backup encryption settings. You never set a password but iTunes keeps asking you to type one to unlock it. 2. Can I Get Tenorshare 4uKey - iTunes Backup (iPhone Backup Unlocker) Registration Code Crack? Tenorshare never published the crack version or keygen of 4uKey - iTunes Backup. You can of course find its crack version as it is really a popular program, but what I want to say is that the crack version is usually imbedded with malware, plug-ins and advertisements. It may also do some modification and even cause data damage and loss to your computer. You must check it again and again if you stick to using the crack version. But you'd better install a credible virus protection tool on your computer. Anyway, the harmful plug-ins are inevitable. I do recommend you to download Tenorshare iPhone Backup Unlocker Professional v3.3.0.1 full version. 3. How to Get Tenorshare 4uKey - iTunes Backup (iPhone Backup Unlocker) Full Version? Except for Tenorshare official site, you can also get its full version from other download center, like CNET Download.com, www.academomia.com, bingosoftwares.blogspot.com and other giveaway platforms. Here let's see how to get the full version of 4uKey - iTunes Backup from Tenorshare official website. Step 1. Visit www.tenorshare.com/products/iphone-backup-unlocker.html or directly click the "Free Trial" or "Buy Now" button below to get it. Step 2. After installing and registering it, you can run it on your computer. Then select "Retrieve iTunes backup password" from the main interface and double-click on your wanted iTunes backup. Step 3. 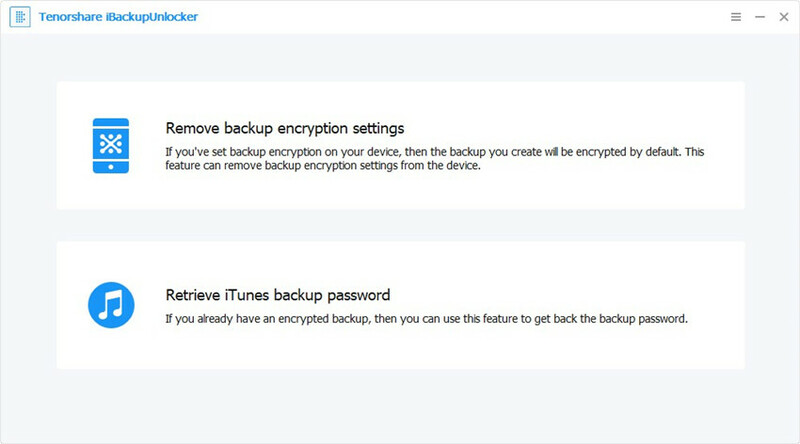 Select an attack type and click on "Start" to decrypt your locked iTunes backup. In conclusion, for the sake of your data security, I highly recommend you to download its officially-published version. Beside, Tenorshare will do some sales promotion. You can get its programs at a very cheap price. Forgot iTunes Backup Password for iPad Pro? iBackupUnlocker Helps!